The 27-30 parrots in the Genus Amazona, collectively known as “Amazons”, are among the world’s most popular avian pets. Indeed, they represent, at least to the general (i.e. “non-bird keeping”) public, the “typical” parrot. But they are far from typical in any manner, and the various species, while sharing some characteristics, differ greatly from one another. I’d like to devote a good deal of time to this important and popular group, with an emphasis on the general personality traits of the various species. I’ll start here with those that are well-suited for beginners, and in future articles will cover larger Amazons, as well as some of the lesser-known and rare species. I’ll also include information on Amazons in the wild from time to time. Amazons of one kind of another range throughout much of Central and South America, and also occur on a number of Caribbean islands. The group includes quite common, rare and recently-extinct species. Amazons are feisty birds overall, much given to noisy bickering among themselves and nearly always on the go. They are quite hardy, with longevities exceeding 80 years for some species. They are considered by aviculturists to among the most intelligent and trainable of the parrots, and many individuals learn to speak well. Most bond strongly to their owners, and so make great companions. 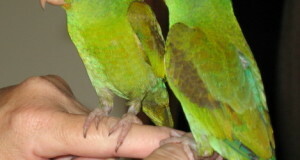 Because the various Amazons are superficially similar – medium to large, mainly green, stoutly-built parrots with short, rounded tails, there is sometimes a tendency to lump them together, as regards their suitability as pets. However, as I hope to illustrate, care should be taken to match one’s personality with that of the parrot when choosing a pet. Of course, individual birds vary greatly within the same species, but there are some general species’ characteristics that can be helpful. Surprisingly, the qualities mentioned in the preceding section render some Amazon species as poor choices for beginning parrot-keepers. Some are just too strong-willed and feisty, and need a great deal of room and attention. They quickly learn (almost always far sooner than their owners!) how to dominate their caretakers, and what they can get away with. These types, which I’ll cover in the future, are best left to experienced keepers. Neophyte parrot fanciers do best with the smaller, quieter varieties that tend to have calm demeanors and a less “pushy” personality. I’ll start off with some examples of these. Although well-known in captivity, this delightful parrot’s natural range is limited to foothills and mountainous terrain in western Mexico. The green feathers have a dark tint to their edges, lending the bird a quite unique appearance, and there is an attractive purple cast to the head. One of the smaller Amazons, it tops out at about 12 inches in length. Lilac-crowned Amazons are shyer than most of their relatives, and well-suited to a calm owner and quiet household. They are good talkers, and, if handled gently, make fine pets. The large range of this parrot extends from northeastern Brazil to Paraguay and northern Argentina. It seems, fortunately, to be a bit more resilient than other parrots as regards habitat loss, and is still to be found in good numbers in many areas. Slightly larger than the lilac-crowned Amazon, the blue-fronted is also a good deal more vigorous and definitely a bit more of a challenge, That being said, it is an easily managed bird in the right hands, and is regarded as an excellent talker. They are quite energetic, and need to kept busy if they are to do well. Blue-fronted Amazons have always been popular in Europe, but lag behind other Amazons here in the USA. Green in color and topped with a blue and yellow head, their unusually large eyes lend them a sensitive, “knowing” demeanor. If a parrot is eating a well-balanced diet, then small amounts of certain of our own foods can be used as treats. Cottage cheese and hard-boiled eggs have long served as protein sources for a variety of soft bills, and most parrots relish these as well. It should be remembered, however, that parrots have not evolved an effective means of digesting dairy-based foods (they produce relatively little lactase)…introduce such foods gradually and use sparingly, if at all. A bit of well-cooked chicken, left on the bone, can also be offered. The zoo nutritionists with whom I have worked generally recommend that “people foods” be limited to less than 5% of the diet of Amazon parrots. Parrots should not be given salty or sugary foods, avocado, alcohol, rhubarb, chocolate or raw onion. 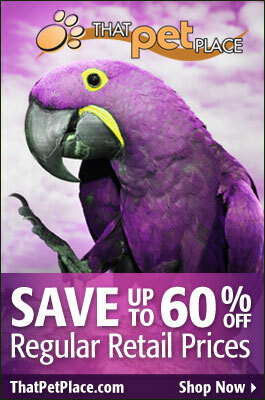 I am inquiring about a “Lavender fronted Parrot” or “Lilac-fronted Parrot”…..Im not sure of the name. It has a purple front to its head. Apparently someone in town here has one and its caused quite the commotion as they are apparently “illegal” here or illegal to have as a pet? Have you heard of any bird like this? The bird you describe is most likely Amazona finschi, which is known as the Lilac Fronted Amazon, as well as by the common names you mention. Its natural range is limited to a small, narrow habitat band in Western Mexico; recent studies have shown that it has disappeared from 40% of that range in the last 20 years, and that the small population has declined by at least 30%. As regards legality, that depends upon where you live. 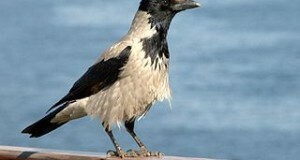 The bird is illegal to capture or own in Mexico, where it is considered threatened (soon to be upgraded to “Endangered”). It is still, however, the one of the most commonly confiscated species in Mexico, so collecting apparently continues. In the USA, all parrots must show evidence of being captive bred. Wild imports of any species are prohibited. The IUCN lists this species as “Vulnerable”, and it is on CITES Appendix I, which is the highest level of concern granted by that agency. I commend your concern for this species; please let me know if you need further information. Thank you for your information. I was told that the bird I previously mentioned is called a Brazilian Lilac. I wonder if this is the same type of bird? Just curious. It is likely, however without the Latin name it is impossible to be certain, as local names vary from region to region (the puma/mountain lion has, for example, 27 diofferent common names! ).